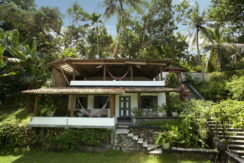 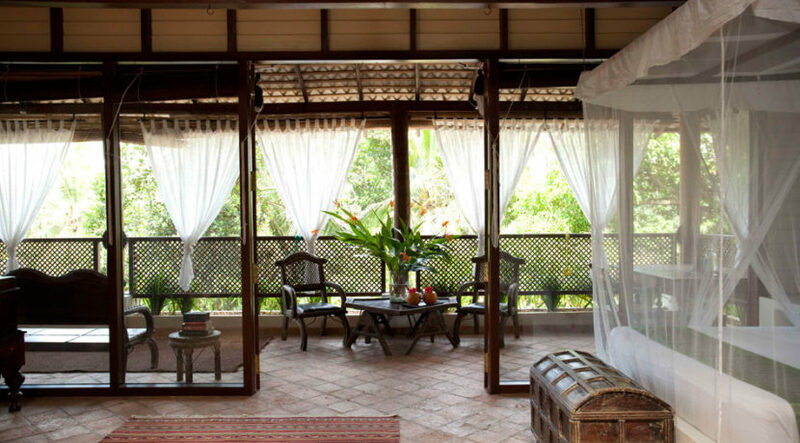 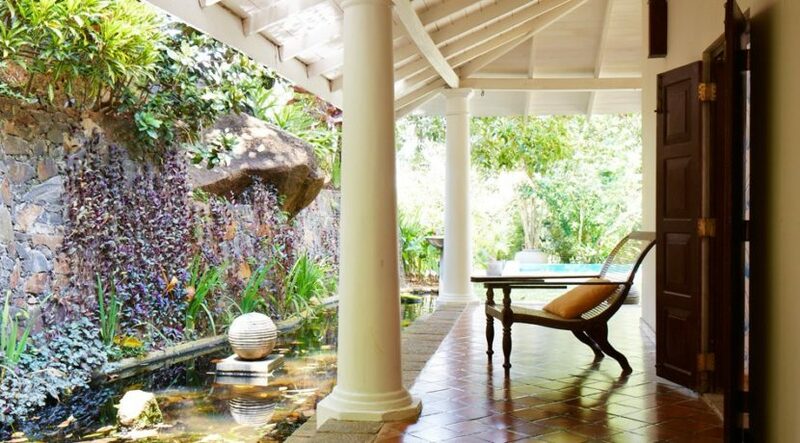 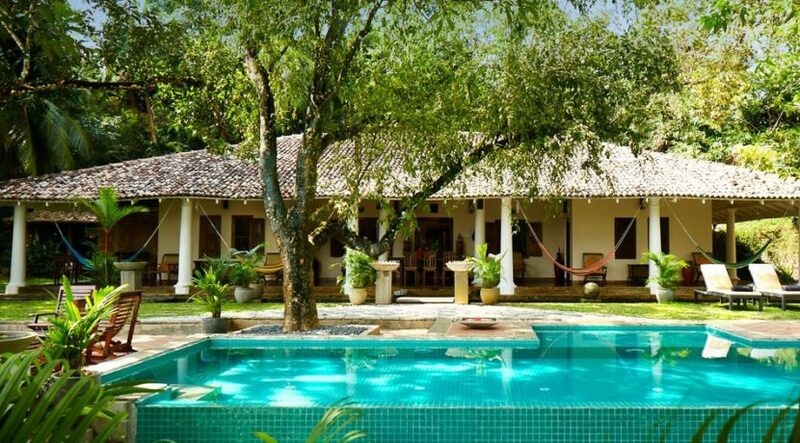 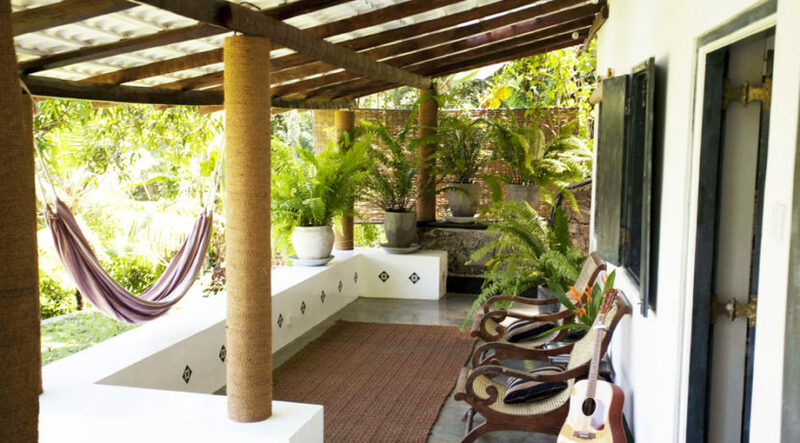 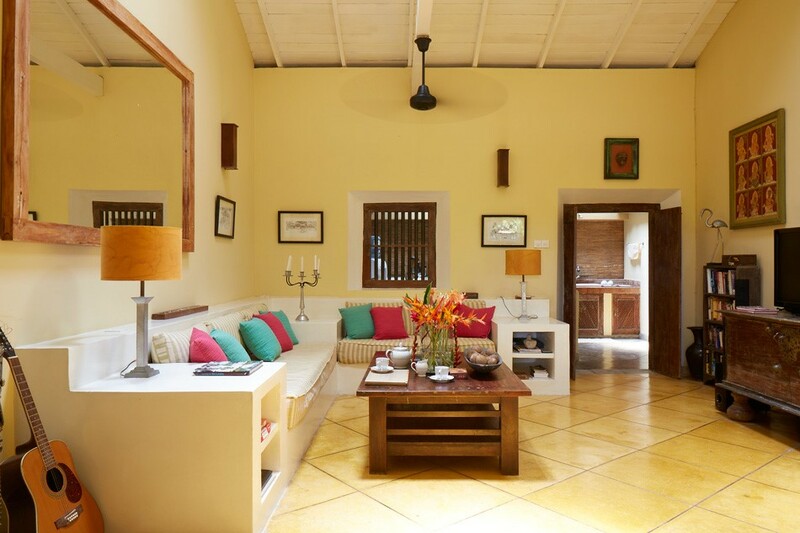 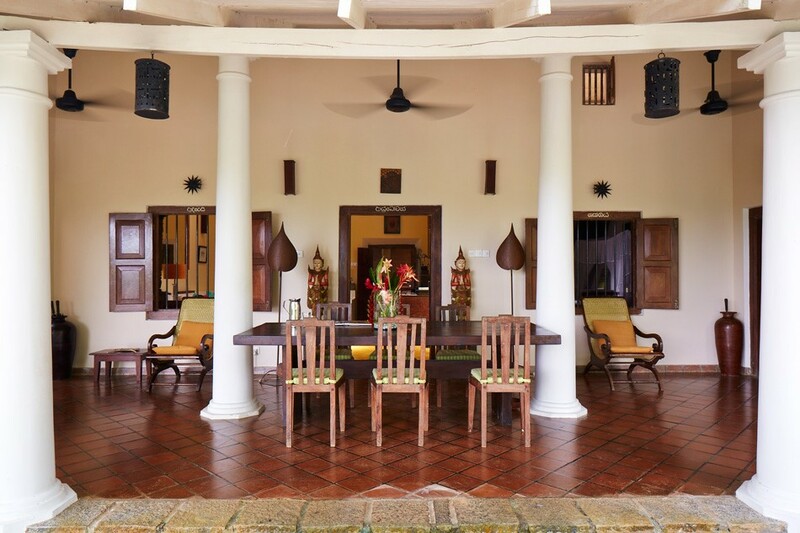 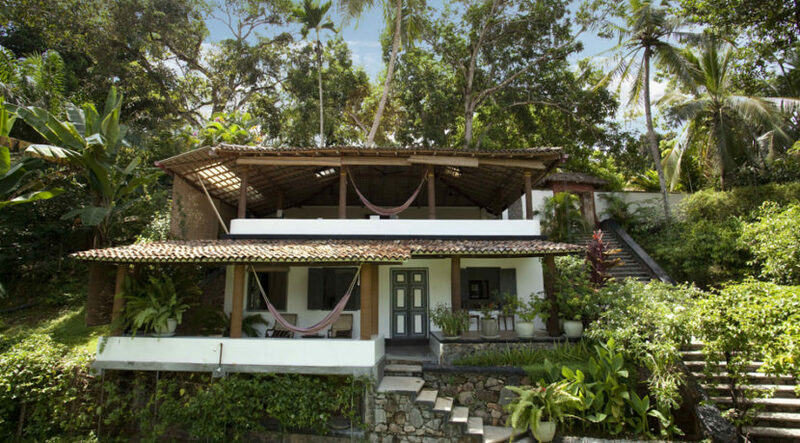 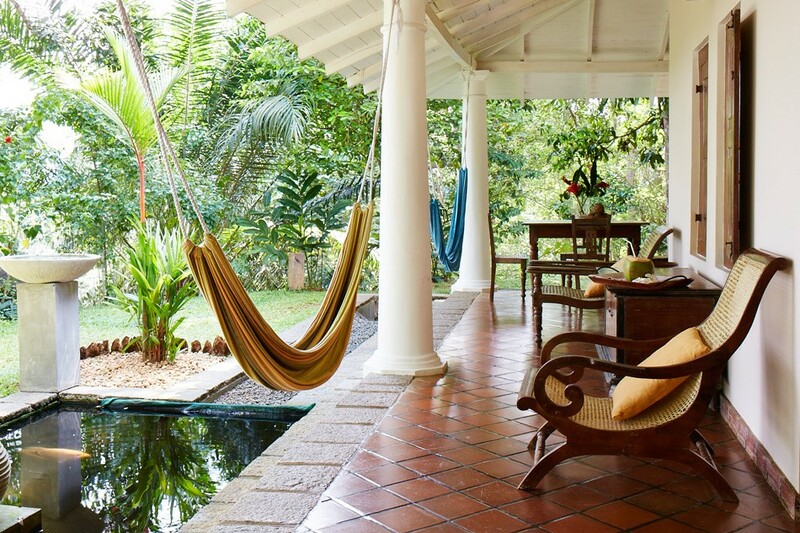 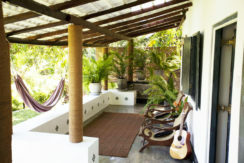 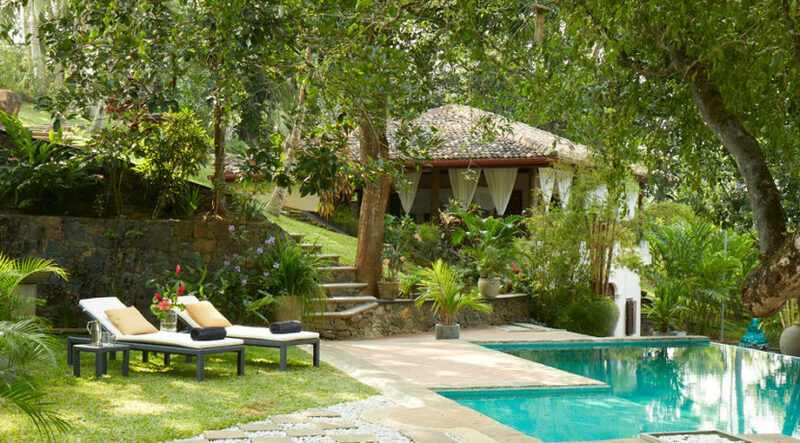 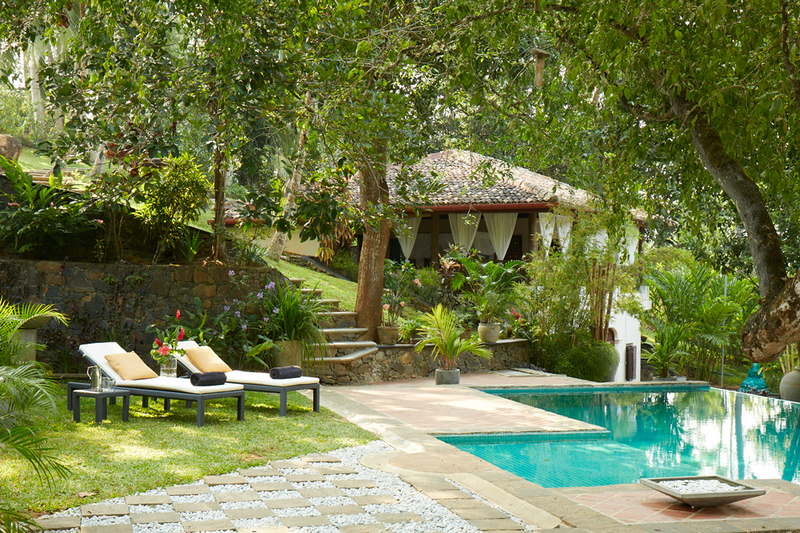 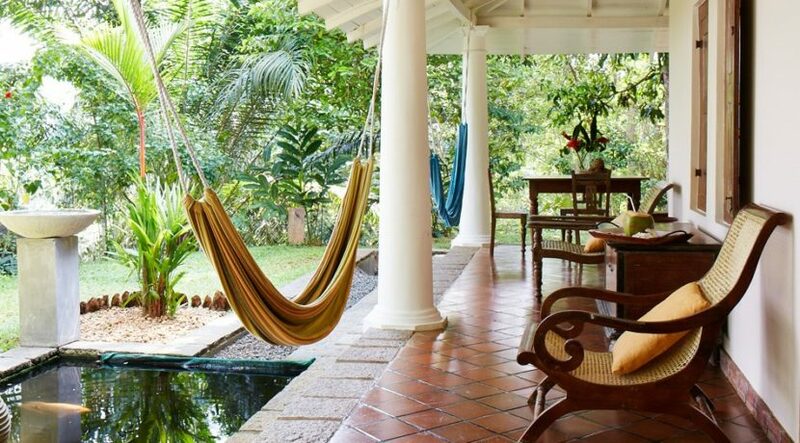 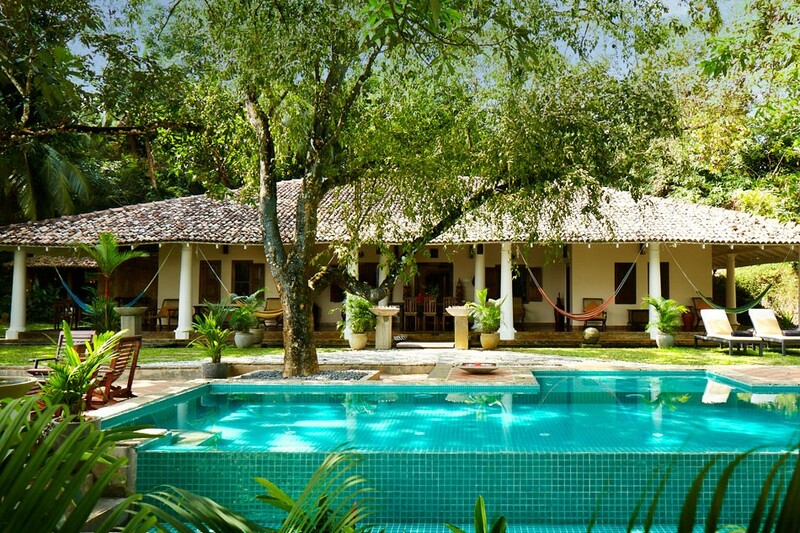 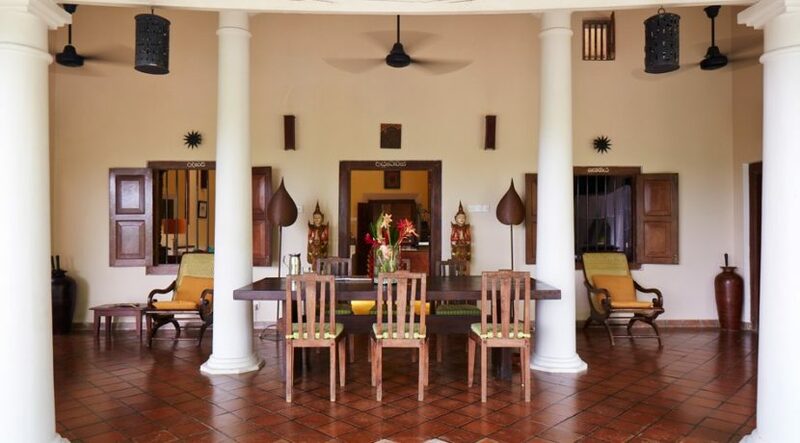 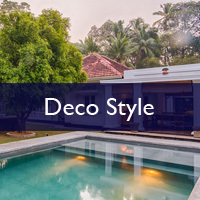 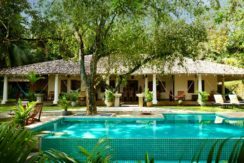 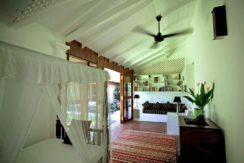 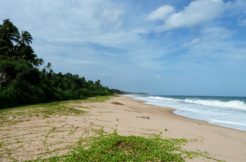 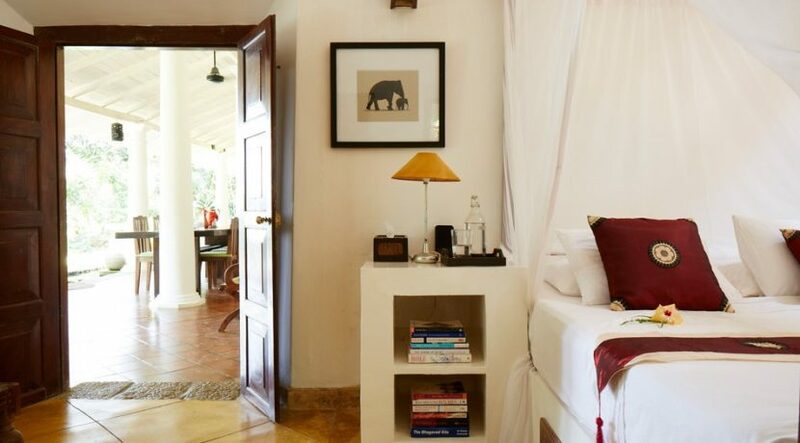 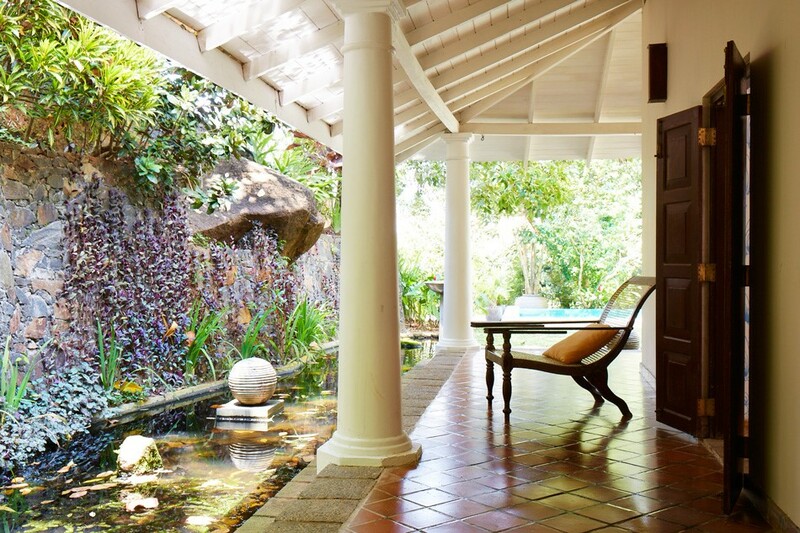 In the heart of paradise, high on a hill, overlooking the lush contours and soft sand beaches of Southern Sri Lanka, this boutique guest house offers a gentle and inspiring natural environment in which to find your center. 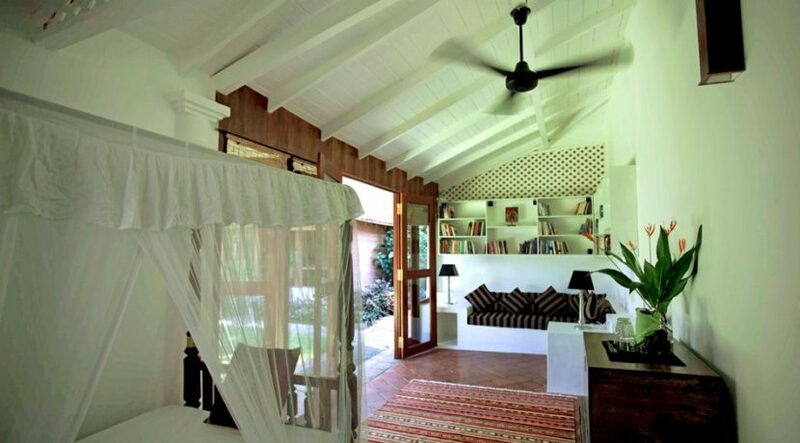 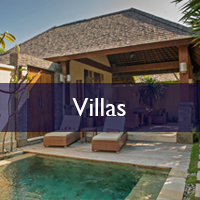 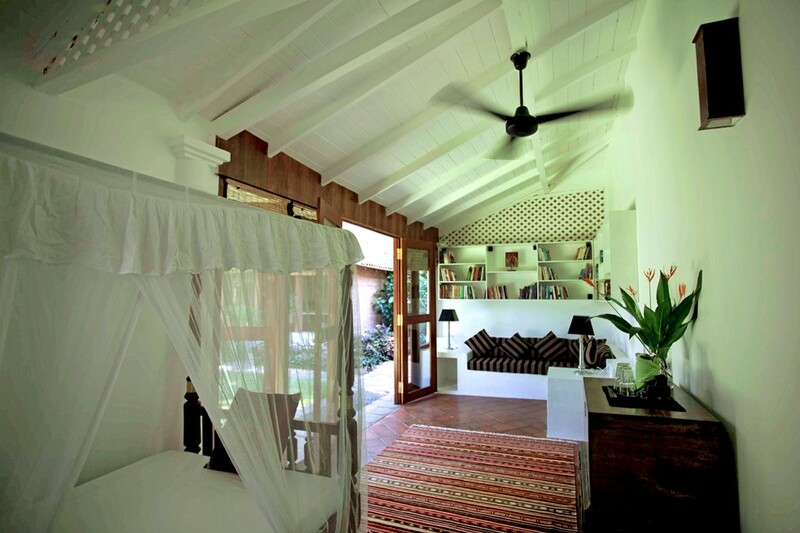 Built on 3 levels this property offers accommodation for up to 18 people in 3 luxury villas. 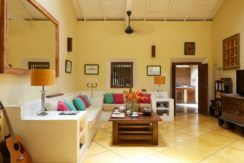 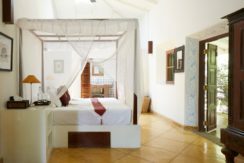 The main villa accommodates 9 guests in 2 double rooms and 2 interleading twin rooms each with their own outside bathroom. 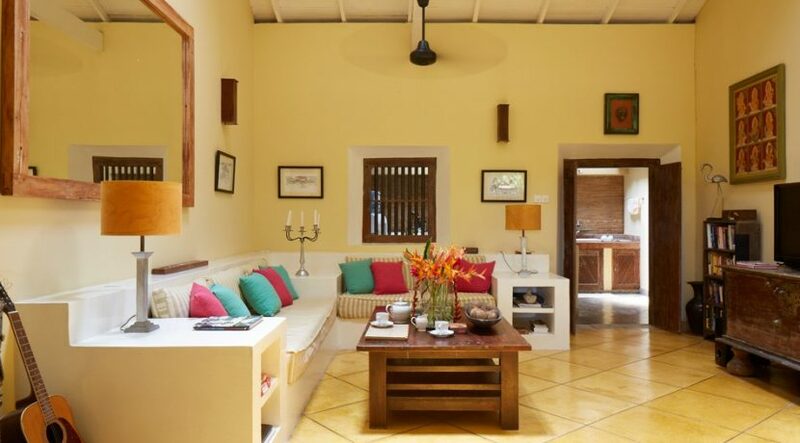 A spacious living room and a fully equipped kitchen. 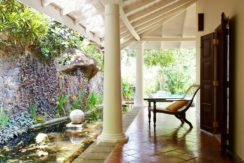 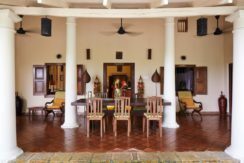 All the rooms in the main villa are furnished with cool terrazzo floors, colonial antique furniture, local carvings and scatter cushions. Outside, a large 130ft terracotta-tiled veranda filled with sculptures and antique tea planters’ chairs overlooks the crystal clear 7ft deep infinity pool with views over the jungle edge. 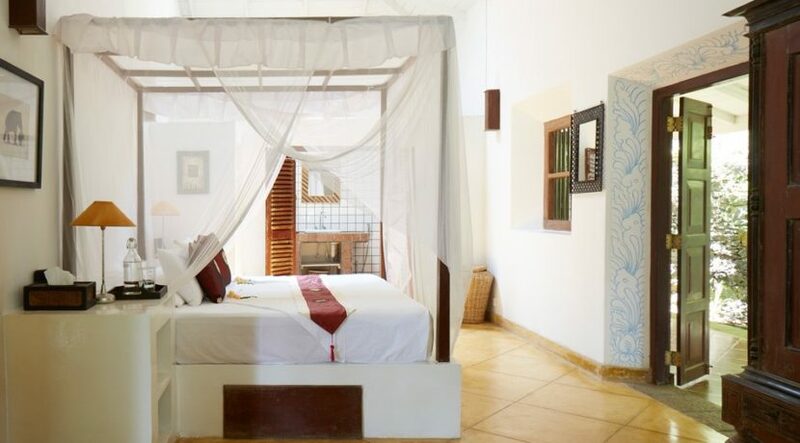 Located within a few steps of the main villa and overlooking the swimming pool, is a further accommodation suite, which can accommodate 5 guests and has a large private veranda. 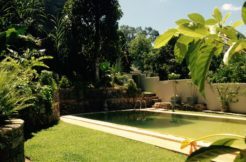 The third accommodation suite sleeps 3 guests. 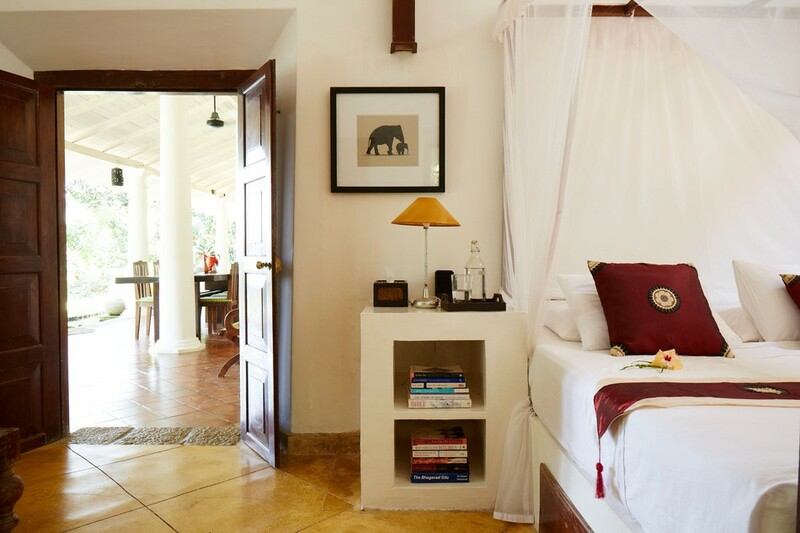 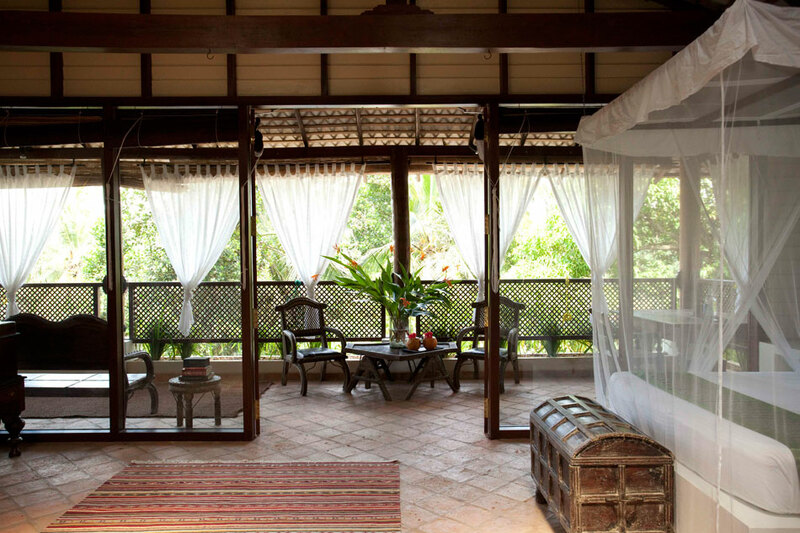 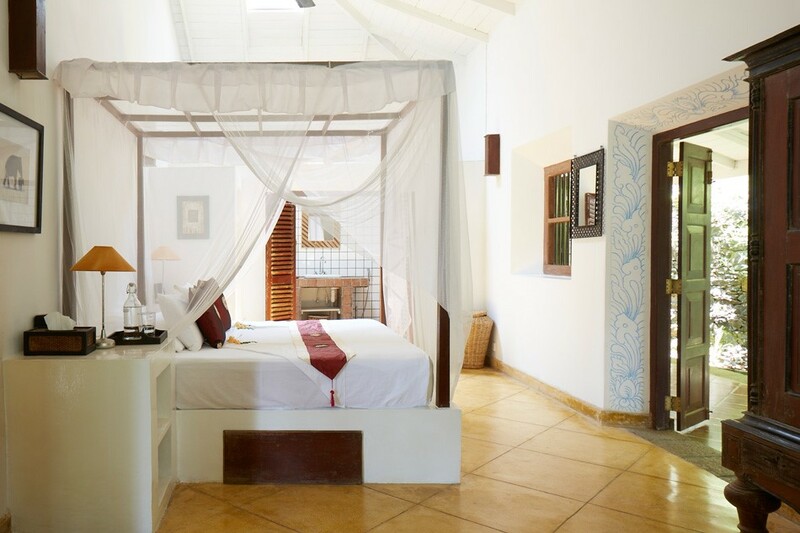 This suite has an attached shower/ bathroom looking out into nature with private veranda. 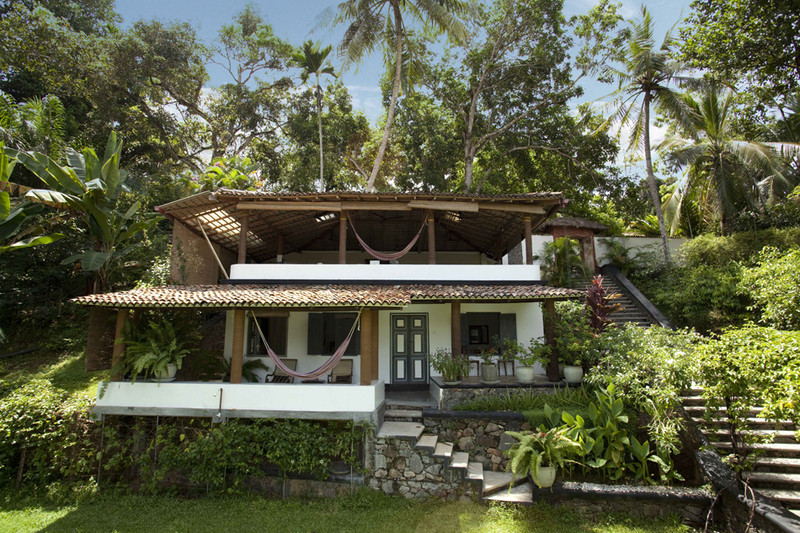 An elegant open-sided yoga pavilion sits a few steps up on the hill. 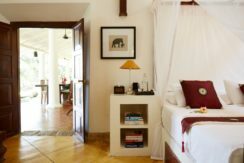 This room was designed to give guests a place to get away from the main villa and enjoy some privacy and the stunning views over the ocean. 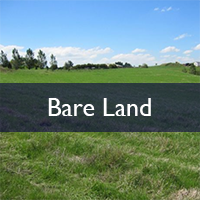 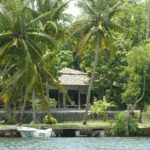 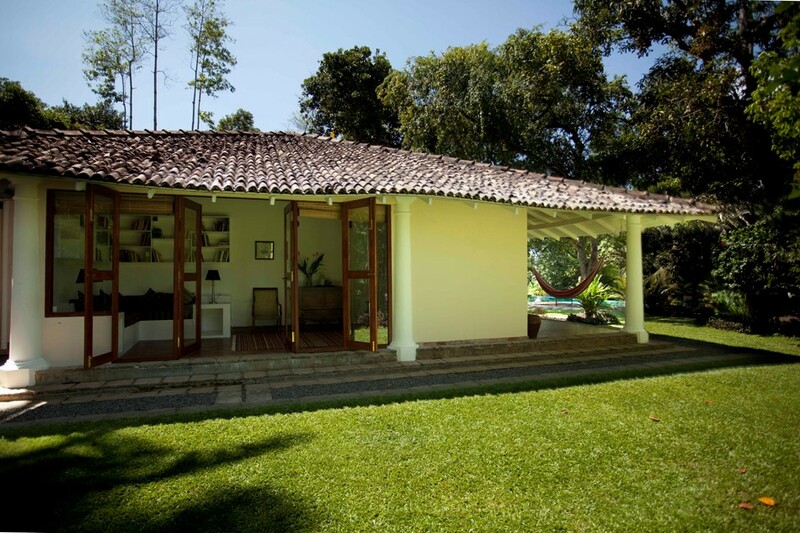 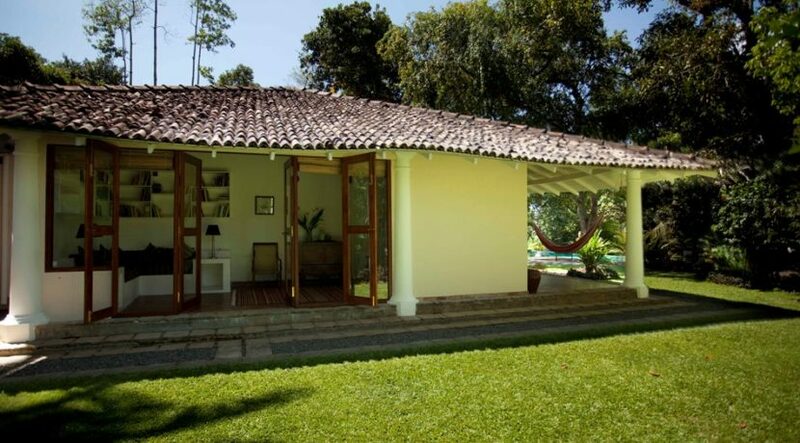 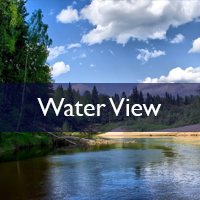 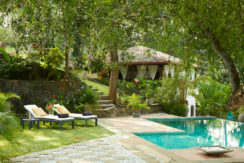 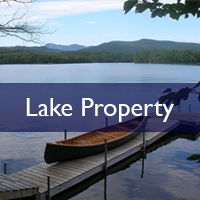 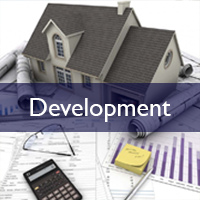 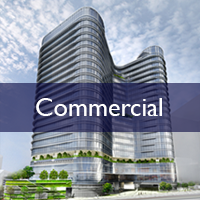 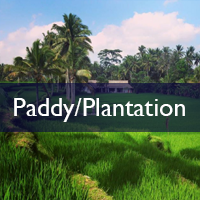 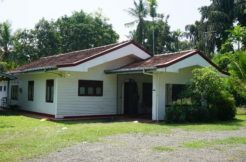 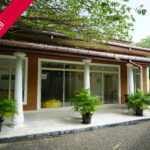 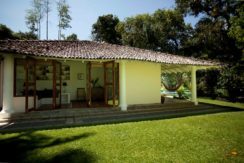 The property is a fully operational guest house which enjoys high occupancy levels. 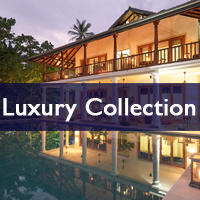 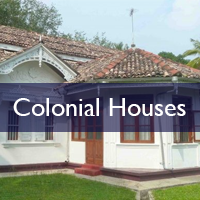 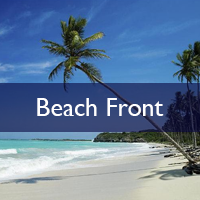 It is situated 3km inland from Unawatuna, Galle Fort is a convenient 30 minutes’ drive away and only 10 minutes to Unawatuna beach and amenities.